Pokémon Sun’s Alolan Exeggutor is a joke. Pokémon Sun’s Alolan Exeggutor is a joke. 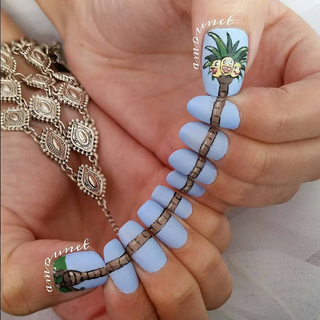 Alolan Exeggutor nail art, however, is the real deal, and also a joke. Amounet nails did it, and it kills.